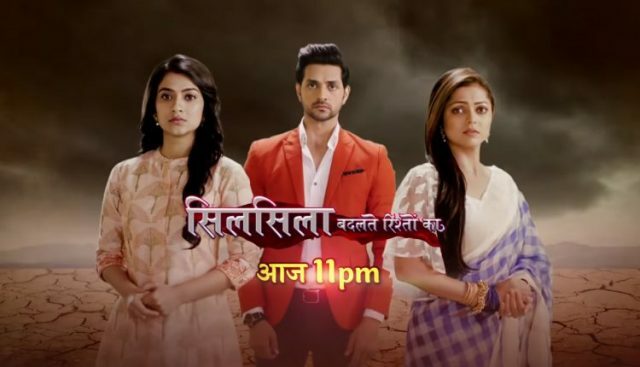 In the latest written update of Silisla Badalte Rishton Ka 12th November 2018, Mishti gets electrocuted, Kunal saves her. Today’s latest episode begins with Mishti thanking Kunal for taking her to an amusement park with Pari. She was very happy and very excited to. She loves to spend her time with Pari. Ishaan also thanks to him for the plan and tolds to him that he will drop Mishti to a common location from where he can pick her up. He is ready for this and he sends the location. They all are enjoying all the rides. Pari and Mishit both were very happy to play together. They both are played too much in the amusement park. After this, they thank Kunal for this amazing trip. Mishti, Pari and Kunal return from the park and Pari urges with Kunal to let them play for some more time as Mishti’s mother will come to take her home. He agrees and notices that some electricity work going in his society compound. Pari and Mishti decided work is being carried out. She gets electrocuted by mistake and falls down, Pari and Kunal notice it. Kunal runs towards to her and picks her up. He rushes her to a hospital and the Pari makes a call an Ishaan. Kunal takes care of Mishti and applies for medicine on her wounds while Pari prays for her. She gets too sad. Ishaan and Mauli both come running to the hospital and Mauli will get very angry at Kunal while talking to Ishaan. She was thinking that the whole is the mistake of Kunal. She calls him careless and said that she will sue him for negligence. Pari comes from behind will happen to Mishti. The house help informs to Mauli that Pari saved Mishti and her father will not let anything happen to her.